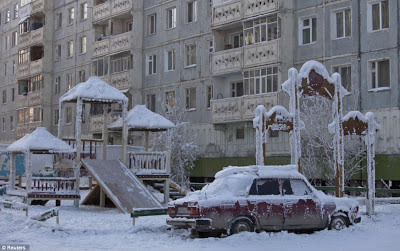 Oymyakon in Russia is considered as the most coldest inhabited area on Earth.The average temperature here is minus 50 °C ( -58 °F). 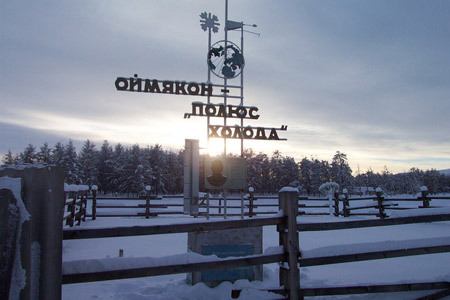 This remote village is 435 miles ( 700.07 Kilometers ) away from Yakutsk which is the regional capital of Sakha (Yakutia) Republic of Russia. 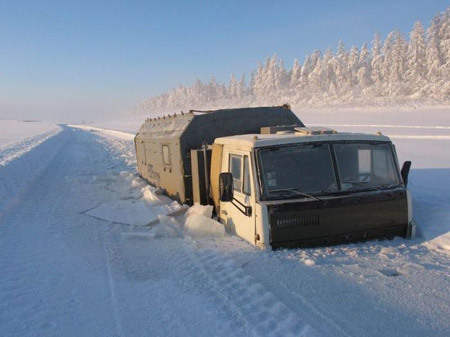 Yakutsk has recorded the most lowest winter temperatures of any city in the world. Here winter seasons are long and the summers are short. Here day length varies from 3 hours in December to 21 hours in June.